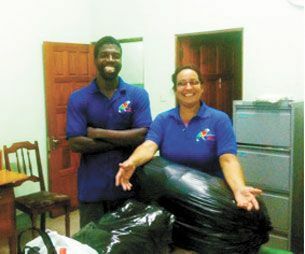 On October 29, members of the club paid a visit to the Mental Health Centre and handed over several bags of clothes and shoes donated by rugby players and their relatives. Leonard Matthews, Jacqueline De Freitas and Sophie Goddard chatted with a few patients and met with staff nurse Stevens, from Chateaubelair. The centre currently houses 137 male and 52 female patients.